Charlie Williams gone but not forgotten. 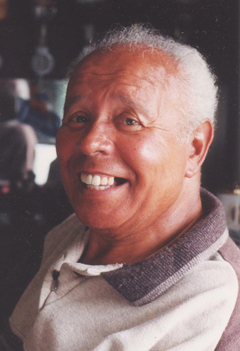 Charlie Williams Britain's first well-known comedian of colour passed away in Barnsley Hospital on Saturday September 2. He had been suffering from Parkinson's disease for over a decade and had dementia for the last two years. The Cheery 79-year-old who had been an inspiration to the likes of Lenny Henry and Gary Wilmot left school at the age of fourteen to work in the mines. He was spotted playing football by Doncaster Rovers seven years later and took up a career as a professional footballer. He made 171 appearances for Doncaster, a feat which resulted in him being voted Doncaster Rovers' all-time cult hero by viewers of the BBC's Football Focus programme many years later. He'd had a short singing career and tried his hand at acting in Room At The Top in 1971 but it was his comedy that brought Charlie his fame. His appearance in The Comedians in the 1970s made him a household name and taking over from Bob Monkhouse to host The Golden Shot sealed his fame. 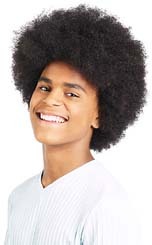 The son of a British mother and Barbadian father Charlie's mixed-race heritage is rarely acknowledged. He used his comedy to poke fun at his colour and the ludicrousness of racism and preferred to describe himself as a Yorkshire man. In 1999, Charlie was made an MBE for his charity work and also received a Lifetime Achievement Award from the Black British Comedy Awards. Charlie and his wife Janice have been great supporters of Intermix and Charlie will be very much missed. Want to leave a dedication to Charlie?